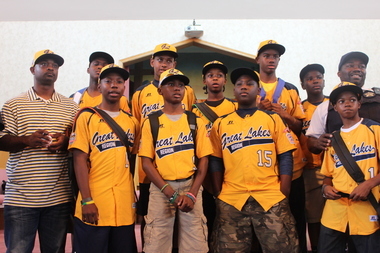 The Jackie Robinson West players were honored at an Aug. 30, 2014 peace rally at Sheldon Heights Church of Christ in West Pullman. 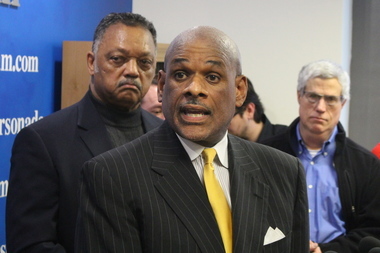 CHICAGO — An attorney for the Jackie Robinson West youth baseball team has asked Illinois officials to investigate whether the information that helped strip the team of its title was obtained legally, CBS Chicago reports. In a letter dated Tuesday, attorney Victor Henderson suggests that Chris Janes, the Evergreen Park coach who first accused the team of cheating, "may have improperly or illegally accessed public data." Late last year, Janes filed a complaint with Little League International, alleging that Jackie Robinson broke residency rules by stacking the lineup with All-Star ringers from the suburbs and elsewhere outside the JRW designated boundaries to create a “super team." Little League International stripped Jackie Robinson West of its national title in February after determining the claims were true. Now, Henderson wants to know where Janes got the information in the first place. "We are concerned that vehicle registration or license plate information was improperly or even illegally searched to determine where parents or children live and that this information was sent across state lines," the letter reads. Henderson goes on to ask Illinois Attorney General Lisa Madigan and Cook County State's Attorney Anita Alvarez to determine who searched for vehicle registration and when. Henderson was not immediately available for comment.